Melvin melted my heart the minute I met him at Wayside Waifs. He certainly wasn’t beautiful in the usual sense. His ears were crinkled and bare, his fur was patchy, and he was missing his front right leg. He was probably close to being deaf. He’d had ear infections. He could barely get up to greet me, but he tried and tried until he finally made it to the front of the kennel. He is a very sweet and affectionate cat. He was thought to be 14 years old when he was brought to Wayside Waifs. Little was known about his history. He was transferred from another shelter when it ran out of space. I admit that my heart is easily melted, but Melvin tugged even harder at my heartstrings. I seriously thought about bringing him home, even though my house isn’t set up for a cat that can’t get around very well. My two resident cats, who don’t get along that well with each other, were also a consideration. Melvin worked his special cat magic on a lot of volunteers and staff members at Wayside Waifs, who called out “Hi, Melvin” whenever they passed his kennel. We were all so happy when the boyfriend of one of them recently adopted Melvin so that he can live out his final years with love and in comfort. I’ve met a lot of wonderful cats and kittens during my six years of volunteering as a photographer at Wayside Waifs, a no-kill animal shelter in Kansas City, Missouri, but Melvin will always hold a special place in my melted heart for him. Paddington, the cat with the BIG personality! Here he is giving me one of his “I don’t care what you’re doing, stop everything and brush me now!” stares. It’s been six years since I updated the tale of the Brothers Angora — Paddington and Bones. Where has the time gone? I’ll pick up where I left off in 2009. You can read their earlier history in the links at the bottom of this post, including newborn photos. Cute photos! Paddington was a very brave kitty at the vet in September 2015. On the left he waits on my lap, in the upper right he patiently endures shots and prodding. In the lower right, he explored the room. So many wonderful toys! In September of 2010 after a year in San Francisco with Cynthia, Paddington returned to live with us when Cynthia moved to South Korea to teach English for a couple of years. This time, I wasn’t letting him go! Paddington and his brother are Turkish Angora cats. 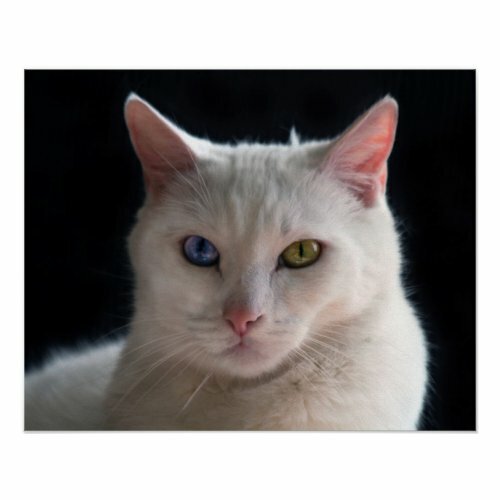 Paddington was renowned for his one blue eye and one amber eye, and Bones is deaf, both are traits sometimes found in white cats. According to descriptions about Turkish Angora cats, these cats often choose a particular member of the family to be their constant companion and are very protective of their person. This was true with Paddington. After Paddington returned to my house to live in 2010, he was a bit standoffish, since Cynthia was his person. And he’d been a wide traveler, too, with many frequent flier miles. But he grew attached to me and soon was demanding his daily brushing. He would follow me around and stare at me until I got the hint. Whenever I sat on the sofa, he would jump on my lap. When he wanted to be brushed, which was often, he would stretch out, placing his paws on the sofa arm. He turned so that I brushed every section of his beautiful white fur. He especially loved to have his cheeks and neck brushed. There was no better job than being his masseuse and groomer. Paddington supervises my artwork as I prepare to paint an Airedale Terrier for friends. Paddington’s bed was next to my desk upstairs, where we had many conversations. At night he’d always appear at my bedside as I was getting into bed. Even when I thought Paddington was sound asleep in his bed, he’d often wake up as I passed by and dash down to my bedroom before I even got there, ready for his nightly chest rub. When I was settled in, he jumped on the bed for a nightly petting, which included a chest rub. As I rubbed his chest, he would paw the air “making biscuits.” It was so adorable! When Paddington and Bones lived with my daughter and Cynthia in college, the brothers would hang out together, but not so much after their most recent separation. In November 2015, Paddington started hanging out with his brother more. One night, my daughter heard a strange yowling cough and thought the two brothers might be fighting (yes, they did get into some tussles with Paddington usually the one starting the spat), but when she went into the room, she found Paddington limp on the bed. We rushed him to an veterinary emergency room, but he couldn’t be revived. He must have had a heart attack. He crossed the Rainbow Bridge on November 18, 2015. We were in shock. He was only eleven years old. We thought we had many more years with him. I miss that little guy so much. So far I haven’t been able to remove his bed, which is still matted with his white fur. There will always be a cat-shaped hole in my heart and life. Take no one for granted, not your family, nor your friends and not your little furry companions. Paddington, left, and Bones snuggle on a bed. Though they were littermates, they couldn’t be more different in personality. Paddington was the BOLD one. Malcolm was my first love. Malcolm is a Norwegian Forest Cat, Cat of the Vikings! 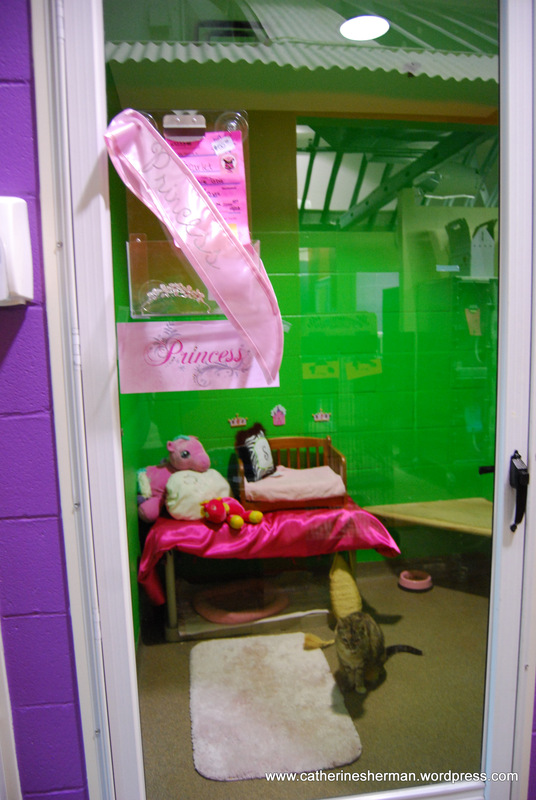 Scarlet awaits visitors in her beautifully decorated room at Wayside Waifs. As beautiful as the "hug" room is at the shelter, she wants a forever home. Hello, my name is Scarlet and let me stop you before you make any jokes about Gone with the Wind, or asking me if I did it in the library with the candlestick! Been there, heard that! Okay, now about moi. Check out my photo. Are those not the most soulful eyes you’ve ever seen. (See photo below) I’m quite the lovey and a favorite of the staff and volunteers here. If they had Miss Congeniality here, I think I’d win, I really do. I’m also quite the fashionista. I’m wearing a lovely and soft brown, tan and white outfit. These neutral shades will go with everything including your drapes, couch and bedspread. They’re classics and never go out of style. I have a short, smooth coat, erect ears and a long tail. Stunning! I have made one fashion faux paw, however. My footwear doesn’t match. One front paw is grey and the other is tan. I could really use someone with your fashion sense to help make sure I don’t have another embarrassing wardrobe malfunction like that again. When I strut my stuff through our home, I always want to look my best. After all, there might be a camera somewhere. I’ll watch you while you get dressed to go to work and make sure your lipstick goes with your blouse or that your tie goes with your sport coat. I’ll meet you at the door when you get home to see what kind of day you had and will tell you all about mine. I’ll have spent time napping and eating, of course; watching the birds and squirrels outside, and supervising the front door to make sure those annoying junk ads weren’t left on our door. Luckily for me, there won’t be another cat living with us, so I can have all your attention when you get home. 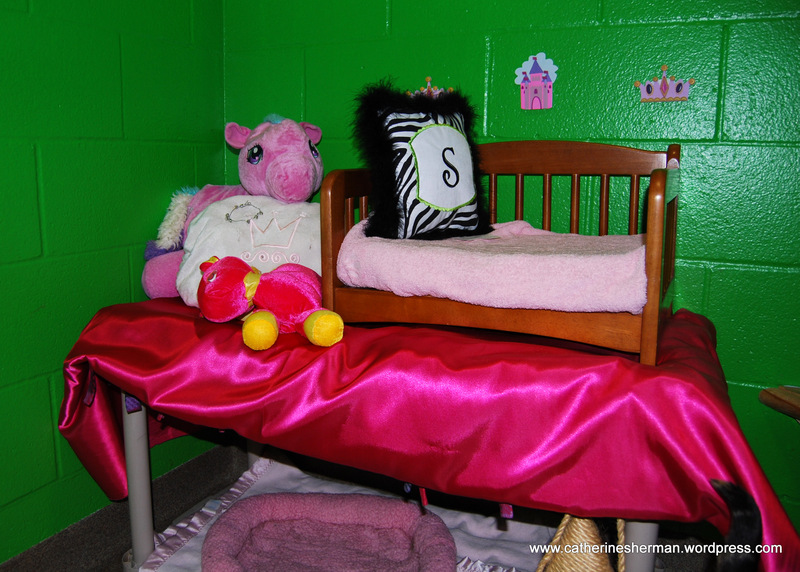 A perfect pink decor for a little princess. Scarlet even has her own monogrammed pillow. I’ll show you how much I appreciate you earning our living by rubbing up against your legs and letting you pet me. When I’ve had enough for a while, I’ll swish my tail a bit to say “enough already, save some for later”. I’m quiet and shy and I’m a bit hesitant to meet new people, so you’d have to give me a little time to adjust. I have to be cautious. I started to fall for a very nice woman and found out she wore white after Labor Day. No-no! 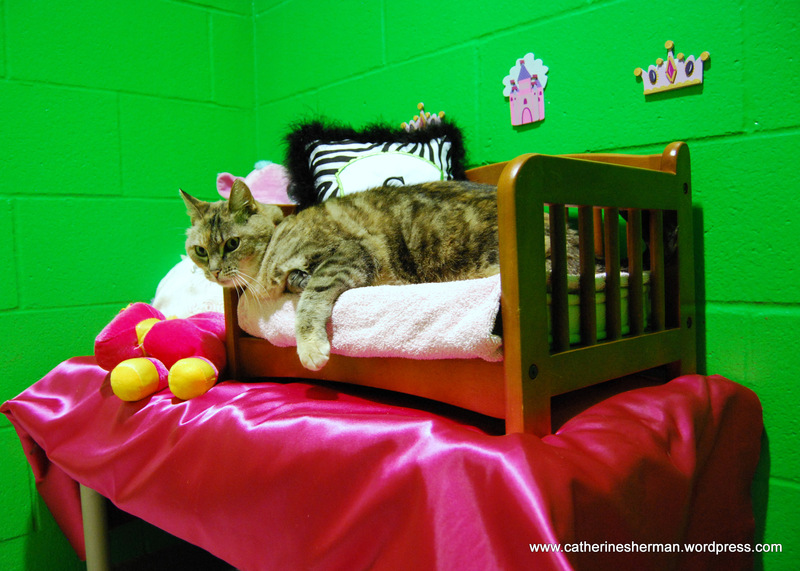 Princess Scarlet relaxes in her bed, waiting for someone to take her home. I also have my own room now and if I do say so myself, it’s quite something. 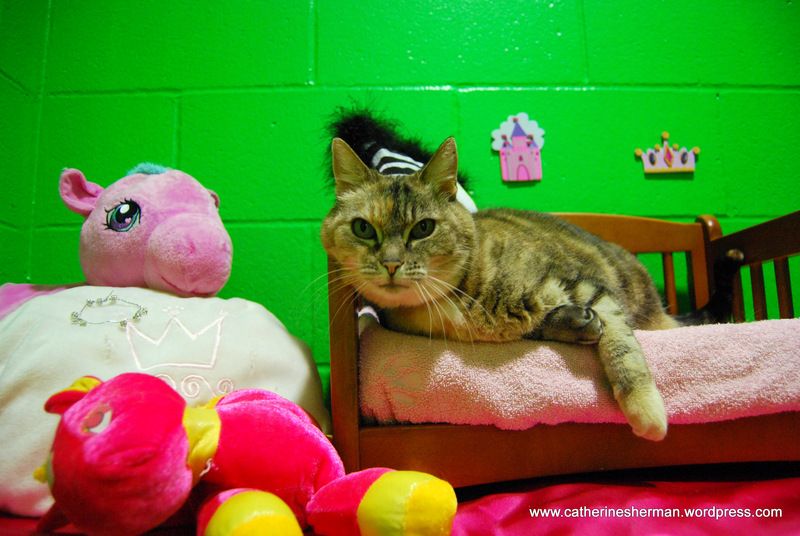 I am definitely the Princess of Pink: pink rug, pink stuffed animals, pink cat bed etc. Check out my photo of me in my special cat bed. That goes home with me too. Only the best for me – that’s why I’m picking you for my family. I can just tell by the way you’re reading my bio that we’re perfect for each other. Come get me and take me home to your castle now! As told to Michelle C. at Wayside Waifs by Scarlet. 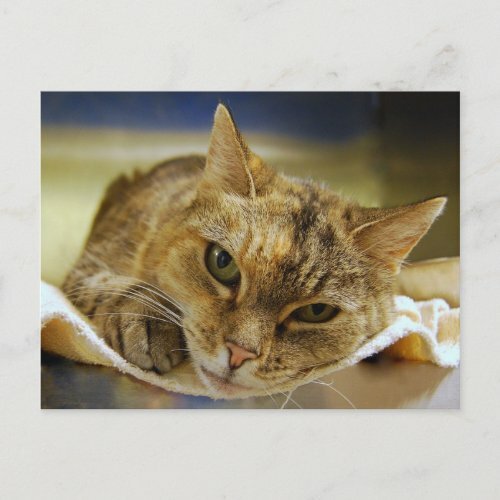 Michelle writes many of the biographies of the cats at Wayside Waifs, a no-kill animal shelter for cats, dogs and small animals in Kansas City, Missouri. I didn’t write Scarlet’s romantic biography above, but I did take her portrait, seen below. I wrote this limerick in honor of the wonderful kitties in need of homes at Wayside Waifs. If you think I’ve turned into a crazy cat lady, you’re right! Who groomed her fur with great pride. Soon finding a forever home in which to abide. The last line is a little awkward. Any suggestions? 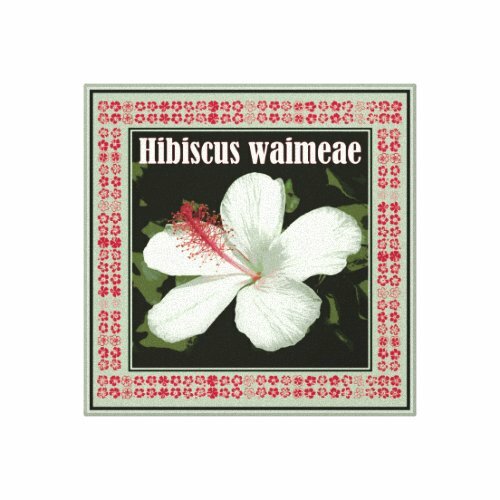 I’d love to read any limericks or poems you might want to add in the comments. If you want to adopt a dog or cat from Wayside Waifs, click on Wayside Waifs. Scarlet relaxes in her Hug Room. Hanky Warning: This video might make you cry. My mushiness over animals has increased exponentially since I started volunteering at an animal shelter. I was already a big sap before I started work at Wayside Waifs. I know it’s just a drop in a very big bucket, but I’ve donated money to Japan Earthquake Animal Rescue and Support. The link is at the bottom. If you’re on Facebook, search for “Japan Earthquake Animal Rescue and Support”. It provides updates on the work it’s doing. A news crew from Fuji TV saw a couple of dogs this week, lying in the wreckage of Mito, Japan. A dog with brown and white splotches seemed to hover over one with gray, black and white splotches. Both dogs looked grimy. The second dog didn’t seem to move. When the dog with brown and white splotches came toward the crew, they thought it was warning them to stay away. But it returned to the other dog, and put a paw on its head. Then they understood: the dog was sticking by his friend, and asking for help. Japan is a nation of pet lovers. Most families have a dog or cat, birds, a rabbit, or other pets in their apartments. When I covered Hurricane Katrina in Mississippi, it seemed that the commonest reason people who stayed through the storm gave for refusing to evacuate was, “I couldn’t leave my pet.” But earthquakes strike suddenly. People can get stuck at work, school, or in panicked transit, leaving pets to fend for themselves. Among the thousands of volunteers who have been mining the rubble of the earthquake are Japanese Earthquake Animal Rescue and Support, who look and listen for dogs and cats among the ruins. The dog with brown and white splotches and his friend with gray, black and white splotches were rescued, and are in a veterinary clinic in the Ibaraki Prefecture. The million-dollar puppy that’s been fattened with abalone, or the grimy dog with brown and white splotches who stood over his friend until he found help: which do you think of as a perfect specimen? How to donate to Japan Earthquake Animal Rescue and Support. The Humane Society also is providing aid to Japanese animals. Here’s another link to donate: World Vets Prepares First Responders To Japan. To help the Japanese people, you can give to the Red Cross and The Salvation Army. This is the link I used to donate to The Salvation Army in Japan. Salvation Army Quake Relief. 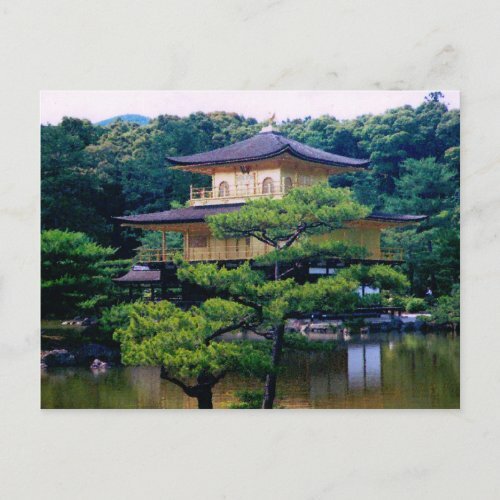 Below is a photograph I took in 2002 of The Temple of the Golden Pavilion in Kyoto, Japan. The Japanese people have a long tradition of strength, beauty and endurance, and they will re-build. Below the photograph is a translation of the Japanese in the video. Check out my post on polydactyl cats by clicking here.